Nice colors Pat. I've never been to Pillar Point, but now you've given me a reason to go. That bottom shot is superb! The wild variety of kelp looks great, the light's nice and even, and I really like the bird's upward glance. Great shots ,Pat. Boom & Gary of The Vermilon River, Canada. Totally amazing color--such a beautiful shot of this bird! Great photos. That's a bird I'd like to see. Exquisite images! Crisp and colorful. Perfection! 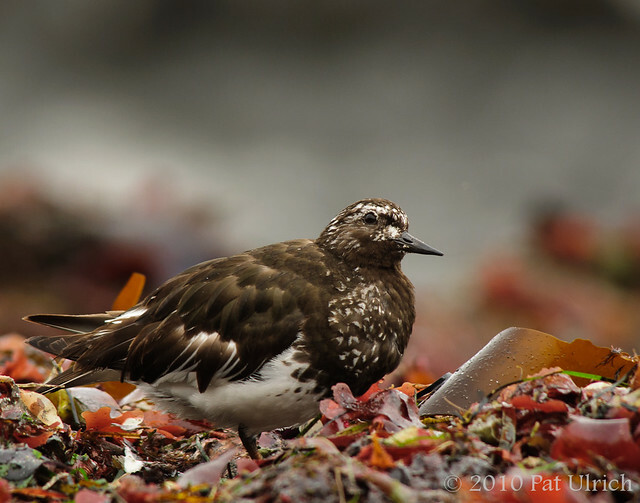 Great shots of the Black Turnstones. 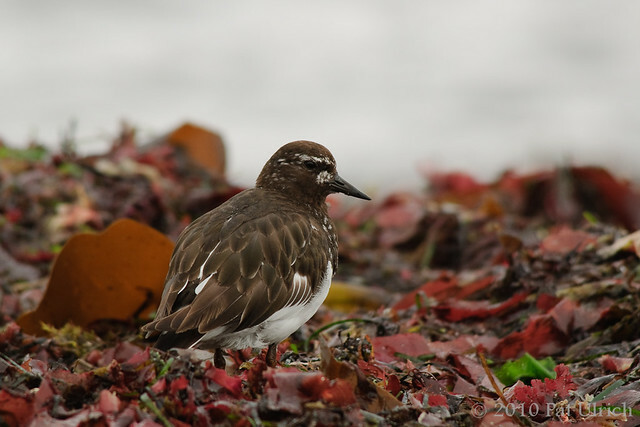 Really wonderful images of Turnstones! You're right - the red kelp is a perfect setting. Now thats a good shot! Splendid bird as well. Great composition and a nice shot. Wonderful! Beautiful! The kelp in the second photo looks like it's been arranged by an artist. Classic Pat Ulrich photography here! How you kept the rich colors of the kelp from overwhelming the bird is beyond me. This is really a fantastic setting, I can't recall seeing anything like it. Bravo! Thanks, Sondra! Reds can be fairly rare in nature, and often are associated with stronger emotion -- so this was a cool chance to incorporate it in a different way. Thanks, Mick! They are fairly plain, but still a pleasure to view. Not quite as flashy as the ruddy turnstone though. Thansk, bailey-road! The kelp definitely makes for a different kind of image than a plain sandy or rocky shoreline. Thanks, Øyvind! Getting low with the birds is a must for my style of photography. Thanks, Springman! It's all about the overcast light in this shot -- the heavy clouds help to bring out both the colors and the details. This is a cool looking bird and you captured it perfectly. Beautiful photos- very interesting markings on its head. Thanks, Alan -- I agree that they are pretty cool birds. Not too flashy, but still interesting. Thanks, Mike! The speckled look on the head is part of their breeding plumage.